The incoming president of the American Psychiatric Association, Nada Stotland, M.D., is getting serious about the distorting effects of drug company money on the organization. She recently formed two new groups to scrutinize this issue. The first is called the Committee on Commercial Support. I don't know any details about this yet, because I'm not on it. But the title pretty much speaks for itself. 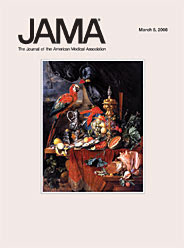 Thus far, the confirmed members include: the chairperson, Jeffrey Geller, MD, a public policy expert and professor of psychiatry at U Mass Worcester; the vice chairperson Dauda Griffin, MD, a psychiatrist in Cambridge MA; David Fassler, MD, the newly elected secretary-treasurer of the APA; Richard Harding, MD, APA president in 2001-2002; Carolyn Robinowitz, MD, the current APA president; and myself. We haven't met yet, and I can't guarantee you that I'll be able to report much about the proceedings on this blog, because there are some confidentiality rules that I will have to respect in order to avoid getting kicked off. But I wanted to at least let everyone know about this extremely encouraging development. Shahram Ahari, former Eli Lilly drug rep, recently spoke to the Tufts Progressive Medical Students Organization. It was a fascinating talk, because Ahari told us about how he and his colleagues used every trick of salesmanship in the book to increase prescriptions of Prozac and Zyprexa and therefore to maximize their bonuses. The key criteria of employment as a drug rep, he said, are being good looking and mastering the art of small talk. No huge surprise here, but it’s helpful to remember that drug reps do not come to doctors to educate, but rather to persuade. "Gift giving is the key," he said. "You are programmed as a human to reciprocate. You feel obliged to return the favor. As a matter of fact, the smaller the gift, the greater the sense of obligation." Do you consider samples to be a part of the company’s civic duty? Think again. "Samples are a marketing tool. They always have strings attached. Typically, we would provide two weeks worth of samples, which worked out wonderfully. Just like a drug dealer, the first one is free, and then you’re hooked." A member of the audience who had once been a consultant to industry made an interesting comment about samples. His job was to track doctors’ prescribing behavior in response to sampling practices, and to provide physician-specific "response curves" to companies. Using these curves, reps determined how to maximize their "return" on sampling. If you "hit" Doctor Smith 10 times per year with samples, he might prescribe more product than Doctor Jones, who might require less sampling. To drug companies, doctors are pawns in a game of cost-benefit analysis. Ahari recalls well that food makes doctors more receptive to the message. "We took painstaking efforts to determine what you like. We had a $60,000 budget for food, and we used this to make ourselves seem a necessity to clinics who wanted to make their staff happy." But food pales compared to what Ahari called "the most sinister tool in our armamentarium: our computer." He was referring, of course, to prescription data-mining. "We knew all your prescribing data, and we used it fine-tune our pitch." Do you think drug reps are there to provide you with crucial medical information? Fuggedabout it! "I was in your office in order to influence you to prescribe Prozac or Zyprexa. We focussed on providing information to manipulate your prescribing, not to teach you how to treat your patients. Mostly, we wanted to build a good relationship, so that you’d like us. We are the one spot of sunshine in your day, a person who steps in the door and is actually interested in how you’re doing. We’re fun, witty, attractive, and we come bearing gifts. No wonder we’re accepted into your offices." Here's an interesting news item from Associated Press. John Kelsoe, a respected psychiatric genetics researcher at U.C. San Diego, has formed a company, Psynomics, to market a genetic test for bipolar disorder. The science of genetic research is ridiculously complicated, but you can learn a lot more by reading this excellent article published in the journal Science (but you have to subscribe to access it). 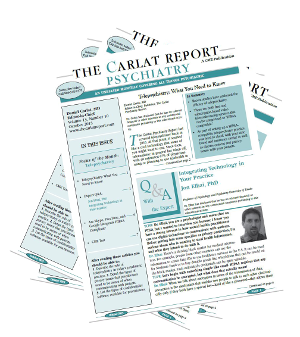 The last time I covered this topic in The Carlat Psychiatry Report was in November 2005, and you can read that issue, including an interesting interview with UCSF's Samuel Barondes here (free full access). The bottom line is that this new test appears to be a bit of a scam, and is based on a notoriously unreliable methodology called "linkage analysis." In psychiatry, this technique has resulted in a litany of dramatic "findings" in psychiatric genetics, most of which have been retracted because of failures to replicate. The Science article quotes Francis Collins, head of the National Human Genome Research Institute, as saying that there is as yet no legitimate genetic marker for bipolar disorder. And efforts to replicate Dr. Kelsoe's marker using the state-of-the-art technique of whole genome scanning have failed. What we have, then, is a $399 test that will inform some patients that they have double the risk of bipolar disorder. They will respond by believing they have a "bad" gene and will presumably request more intensive psychiatric care, even if they have few symptoms of a mood disorder. Within a year or two, as more data is published, the company will be forced to admit that the test has no merit. Here's hoping Psynomics has thought hard about their refund policy. Hat tip to: Bernard Carroll, M.D. I've lagged in posting lately in order to take my recertification exam in psychiatry. I hope I passed. For some reason, there were a lot of questions about physostigmine, a medication the Board seems to believe is crucial for psychiatric practice. I guess they got bored writing questions about SSRIs. Lacking any urgent CME news, I caught up on some reading and came across this interesting article on the perverse negative effects of full disclosure. Usually, we think that disclosure minimizes the biasing effects of conflict of interest (COI). Accordingly, the ACCME's standards for commercial support are based primarily on an elaborate series of guidelines about how to disclose COI in educational activities. But a funny thing happens on the way to CME programs: even with full disclosure, they continue to be commercially biased. Why is that? Why doesn't disclosure solve the problem? Business school researchers at Carnegie Mellon University conducted two experiments to answer these questions. Undergraduates from the university were asked to estimate the number of coins in a glass jar. Some were assigned the "estimator" role and others, the "advisor" role. In the CME world, the advisors correspond to hired gun speakers, and the estimators are physicians in the audience. 1. In the first experiment, advisors were paid to give erroneous advice about the number of coins in the jar. Specifically, they were asked to exaggerate the number of coins (bias high) or to mimimize (bias low). Crucially, the estimators were warned ahead of time that the advisors had these incentives to give bad advice. But even with these disclosures in mind, the estimators followed the biased advice. 2. In this variation, some advisors were paid to give accurate advice, and others were paid to give high advice. As expected, the advisors who had an incentive to give high advice succeeded in influencing the estimators. But here's the interesting twist. A third group of advisors was paid to give high advice, and was told that the estimators would be warned about their incentive to bias the answer upward. The result? Advisors who knew their bias was disclosed actually provided more erroneous advice than the others. In other words, disclosing the COI actually makes hired guns more likely to provide biased information. The authors speculate that disclosure worsens bias for two reasons. First, disclosure gives the advisors "moral license" to exaggerate. To quote from the paper: "When their conflict of interest is disclosed, people feel less of an obligation to protect the advice recipient." The other issue is "proactive exaggeration." Since advisors who disclose their COI worry that their advice will be discounted by the audience, they will tend to exaggerate their advice to make up for it. This is quite an intriguing paper, and deserves to be studied by regulating bodies in all advice-giving industries, including medicine. It may well be that disclosing COI has the unintended effect of encouraging people to give worse advice than they otherwise would. Oregon Academy of Family Physicians to Industry: Hands Off Our CME! In the latest sign that physicians are taking control of their own medical education, the Oregon Academy of Family Physicians has announced that they will no longer accept any funding from the pharmaceutical industry. Read an excellent article covering this story in Eugene's newspaper, The Register-Guard, here. The Academy will be holding its major annual CME meeting May 8-10, and you can read its brochure, along with its statement that it is "100% free of any pharmaceutical funding or support," here. Congratulations to the Beaver State! "Your blog posting suggesting I was unenthusiastic about Pristiq mischaracterized my views. It is very useful for clinicians to have another serotonin-norepinephrine reuptake inhibitor (SNRI) available to treat depression. 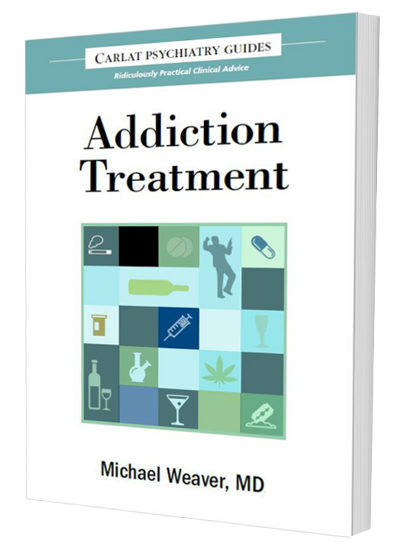 This class of antidepressants is very useful for treating an often disabling and sometimes life threatening condition, and the more tools we as clinicians have available, the better we can serve our patients. In addition, Pristiq's very tolerable starting dose of 50 mg per day may also turn out to be its usual therapeutic dose, avoiding the need for dose escalation. If so, this would differentiate it from Effexor XR and Cymbalta, the two previously marketed SNRI's. With regard to my remark that if Pristiq was useful, it would make money for Wyeth, this was in response to your question about whether the company was marketing it for altruistic or commercial reasons. The intent of my comment was twofold. First, I believe that it was not an either-or proposition. Rather, if the drug turned out to be highly useful, it would also be highly profitable, so a company can be motivated both by wanting to advance science and health care and make a profit. Secondly, how widely a given drug will be used is not always something one can usually predict until a drug is marketed and clinicians have a chance to test it out in daily clinical situations. For example, who would have predicted that Celexa or Lexapro, marketed for depression after numerous other SSRI's, would turn out to be very useful, popular and widely used drugs. Recent issues of two of the world's major medical journals carry articles critical of industry-funded CME, both of which are required reading for those following this form of legalized corruption. "Although eliminating support from pharmaceutical and medical device companies would involve more change than the alternatives, this approach will likely allow the medical profession to control its own continuing education. The current situation is at best very troubling." See also Merrill Goozner's excellent coverage of this issue in GoozNews. For a bit more spice, read this article in the February 23 issue of the British Medical Journal. Entitled "Doctors’education: the invisible influence of drug company sponsorship," the article is based on documents leaked from one of Australia’s largest medical education companies, Healthed. While the company’s brochure states that "all content is independent of industry influence," in fact internal emails document that sponsors frequently suggest speakers for particular courses. Three companies were implicated in these emails: Sanofi-Aventis, CSL (marketer of the headache medication Tramadol), and Organon. All three companies successfully recommended speakers, apparently at the instigation of Healthed each time. The most egregious smoking gun involved CSL, which sent an email to HealthEd in reference to a headache course, saying that they would like HealthEd to "determine the speaker’s opinion re: Tramal as I would like to ensure he positions it appropriately." HealthEd replied that it "will reconfirm opinion of headache speaker re: Tramal to ensure balanced presentation." The language of obfuscation is eery here. You have a strong sense that the emailers know they are doing something wrong and are tweaking the language to avoid getting caught red-handed. In MECC double-speak, "balanced presentation" means "in line with marketing aims," and "positions appropriately" means "will push the sponsor’s drug." Another interesting tidbit from this article is that Healthed offers sponsors who pay the most money ("platinum sponsors") special privileges. According to an extract from an email sent to Schering Plough from Healthed, this privilege includes the chance to "work with us to determine a speaker and topic for the programme." The most flinch-worthy part of the article was the furious back-pedaling by Heathed’s director, Ramesh Manocha. When asked why sponsors were allowed to suggest speakers, he said that these suggestions were "filtered" through the company’s working group. But then he said these leaked emails were from 2006, and that Healthed has really "tightened up" since then. Unfortunately for Manocha, he was then confronted with one of Healthed’s 2008 brochures which states that "at each seminar as a platinum sponsor your company can . . . work with us to determine a topic that is on message for your product area." Manocha had to do another Australian two-step: he said the brochure was no longer used and that the wording should have been changed. By the way, platinum sponsors pay about $9000 per one-day seminar to obtain their extra influence. At any rate, this survey was conducted with 250 people with schizophrenia, and 250 psychiatrists, who were selected from two online "panels" created by a marketing research company called "International Communications Research." The results of the survey? 1. Psychiatrists don't pay nearly enough attention to the physical health of their patient as they should. 2. 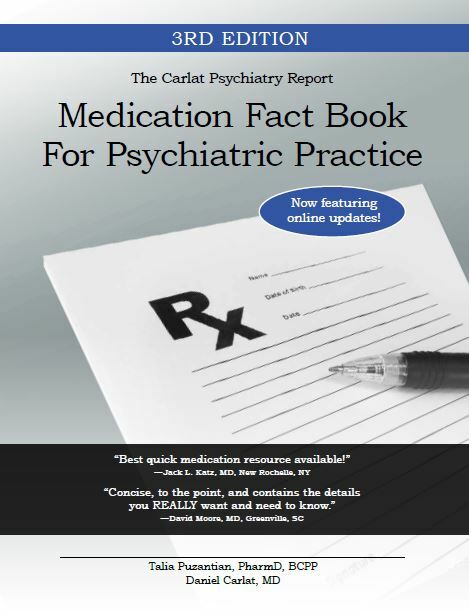 Most patients have at some point stopped their medications because of side effects. 3. The potential side effect of antipsychotics of most concern to psychiatrists was diabetes. I know what you're thinking: "This survey could not have been funded by Eli Lilly." And you'd be right, because Lilly markets Zyprexa, an antipsychotic associated with weight gain, elevated cholesterol, and diabetes. Nor would such a survey be underwritten by either AstraZeneca (Seroquel) or Janssen (Invega, Risperdal), because these antipsychotics are also implicated in the metabolic syndrome, though not as severely as Zyprexa. Actually, this survey was funded by both Wyeth and Solvay, the companies which teamed up to market bifeprunox, an antipsychotic in development whose main marketing point is that it doesn't cause diabetes or weight gain. Next question: If Eli Lilly decided to fund its own survey, what would they make certain the results would be? It would have to be something downplaying Zyprexa's bad side effects. Well, we have an answer in this new Lilly-funded survey about schizophrenia that was released by yet another industry-funded patient advocacy group, The World Federation for Mental Health. This survey of 982 caregivers concluded that: 1. Relapse is a terrible thing in schizophrenia; 2. Efficacy is the top treatment priority; and 3. You have to focus on the long-term management of patients. The words "side effects," "diabetes" or "weight gain" are not even mentioned in this survey. File this one under: Addicted to deception.